There is no doubt that gluten-free food is the latest diet trend. Gluten-free products are popping up all over grocery stores, and the products that are inherently gluten-free are boldly labelled to attract shoppers looking for these products. But why has this trend suddenly become so important? Are more people suddenly prone to developing gluten intolerance? Is it marketing? Is gluten-free just the latest diet fad? Are people self-diagnosing? There is a lot of misinformation about gluten, the role of gluten-free food in the diet and how it impacts your health. Some people are eating gluten-free simply because they believe it’s healthy, whereas others choose this option out of necessity, particularly people with celiac disease. According to the Canadian Digestive Health Foundation, more than 20 million Canadians suffer from digestive disorders each year. This is more than half of our population. Of these people, it’s believed that 330,000 are affected by celiac disease. Gluten intolerance is a general term that implies that a person with the condition experiences certain symptoms from ingesting food that contains gluten. The range of gluten-related disorders includes having an allergy to wheat or gluten, gluten sensitivity and celiac disease. Although an immune system response occurs in celiac disease and allergies to wheat or gluten, the response in each condition is different, and only people with celiac disease will likely have damaged intestinal lining. The Canadian Celiac Association uses the term “gluten sensitivity” in describing individuals who experience “a variety of symptoms when they eat gluten and feel better on a gluten-free diet but do not have celiac disease.” According to the association, this condition is more accurately called non-celiac gluten sensitivity. It is not known why some people are sensitive to gluten, but celiac disease specifically appears to run in families. One of the most troublesome aspects of having a sensitivity to gluten is that there is no medical test. Even though screening blood tests for celiac disease are becoming available, there are people who test negative for the disease, but they still have many similar symptoms. Because there are other digestive disorders with similar symptoms to those of gluten sensitivity, the first thing you should do if you have these symptoms is see your doctor about your diagnosis options. Keep in mind that even if a screening test for celiac disease comes back positive, the Canadian Celiac Association recommends not changing your diet until you have an intestinal biopsy. Doing so can prolong the time it takes to correctly diagnose the issue. There are many people who point to the production of modern varieties of wheat as being the main culprit of why people today are commonly developing a gluten intolerance. It is believed that the production process affects the protein content of the wheat. However, a University of Saskatchewan professor claims that he has debunked this myth. “The science doesn’t support what people have been saying,” Ravi Chibbar said to the Globe and Mail. Chibbar had been studying old varieties of wheat, but the focus of his research changed when he noticed health advisers claiming that new wheat varieties contained high levels of protein and different kinds of starch that were contributing to gluten intolerance. He then set out to see whether protein levels have indeed increased over the years. And they did – by only 0.01% per year. “That’s one per cent in a 100 years,” Chibbar said. “The whole thing about protein levels having significantly increased, and that’s why we’re seeing the negative effects of wheat, that did not stand out.” He believes the overall balance hasn’t changed and is not the cause for the rise in gluten intolerance. If you determine that you have a sensitivity to gluten, then a gluten-free diet is likely the best way to eliminate the symptoms. 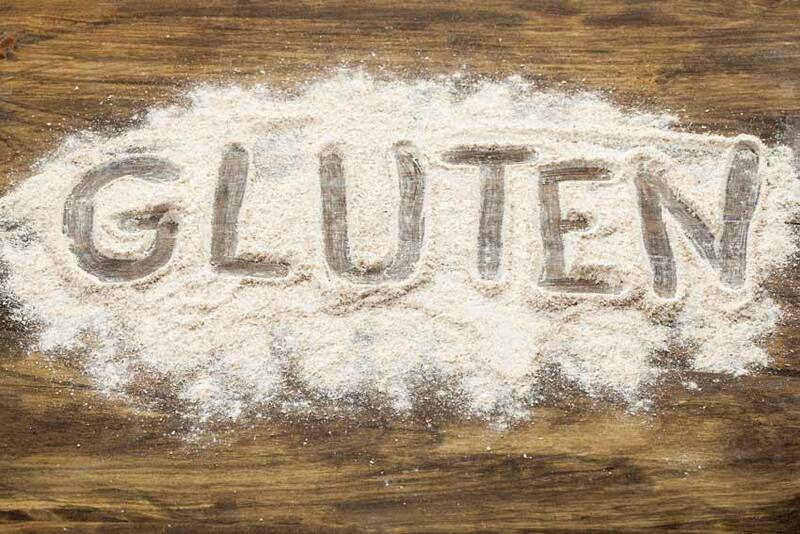 A gluten-free diet means eliminating gluten-containing foods by 100%. To ease the transition, consider consulting a nutritionist, who can help you with meal plans and explaining which foods you can and cannot eat.